Love is a many glittery thing! You know it. 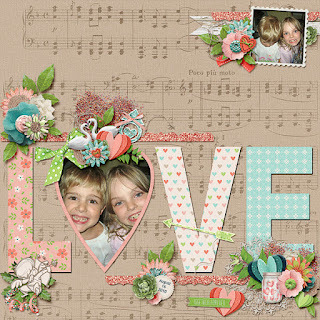 You love it! 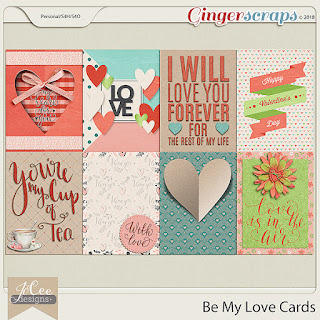 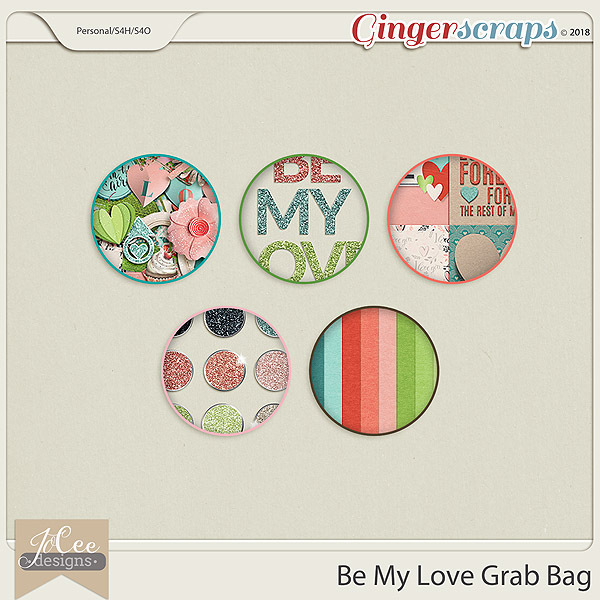 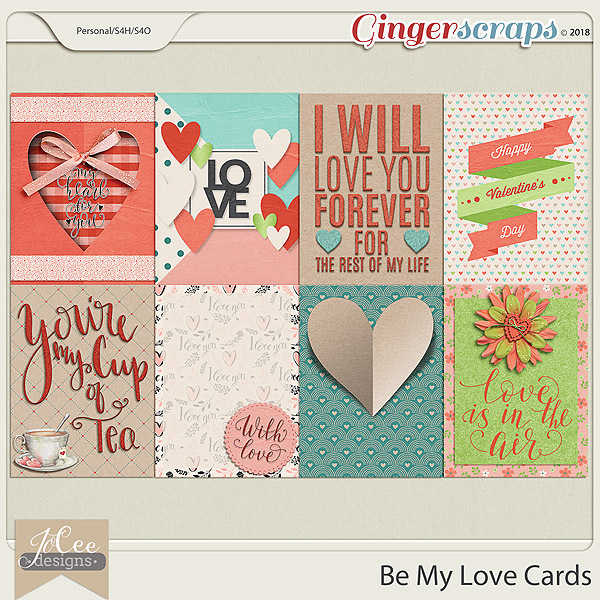 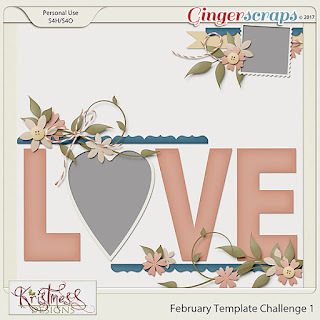 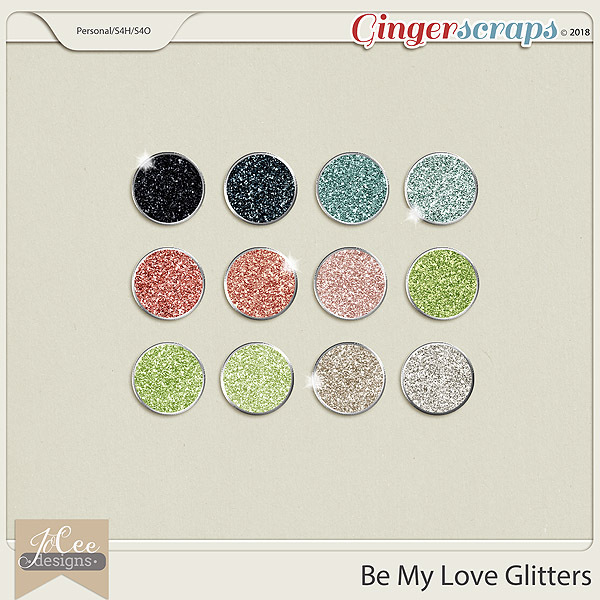 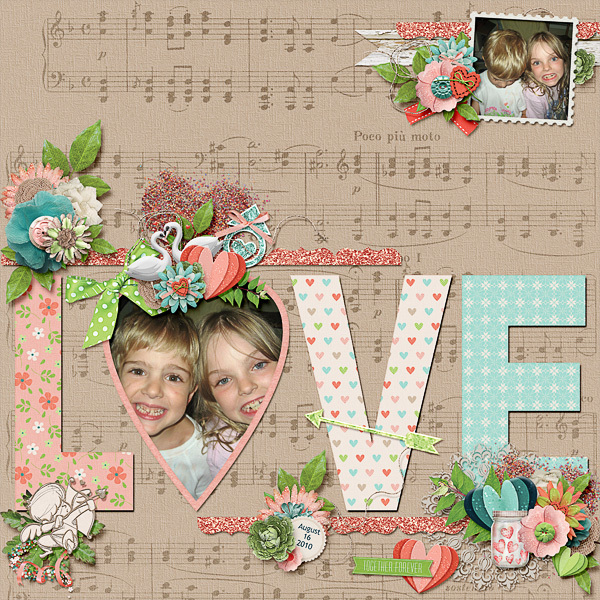 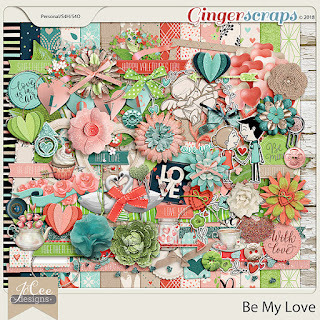 And just look at all the glitters and sparkles in this new collection called “BE MY LOVE” This Bundle is designed in a bright, springy palette of salmon, mint green, neutrals and blue and includes many love themed elements along with stars, flowers, ribbons and other generic pieces as well.